The Lok Satta Party is kicking off its 2014 general election campaign from Kukatpally in Hyderabad by holding a public meeting titled ‘Eela Bheri’ on Sunday, March 16. 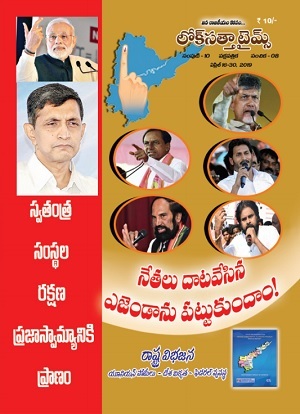 (Eela in Telugu, standing for whistle, is the election symbol of the party). 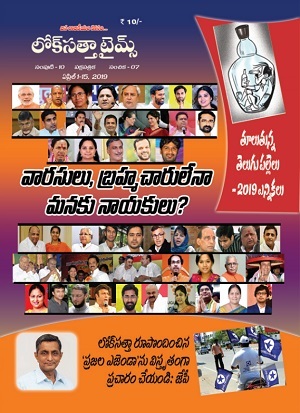 Lok Satta Party National and State Presidents, Dr. Jayaprakash Narayan and Katari Srinivasa Rao, and other top party leaders will take part in the meeting at 3-00 p.m. at Ramya Grounds in KPHB Colony. Dr. JP, who represents Kukatpally in the Andhra Pradesh Legislative Assembly, will explain how he has changed the face of the constituency in the last five years by taking up and successfully completing a number of development works and striving to ensure that welfare schemes reached all disadvantaged sections. The Lok Satta, he will underline, is committed to providing good governance, eradicating corruption, ensuring good education, healthcare and livelihood opportunities to all and fighting for decentralization of power.